Not blogging Not blogging just posting Cliff’s art photos. This home page photo is of the Spirit Bear totem pole. 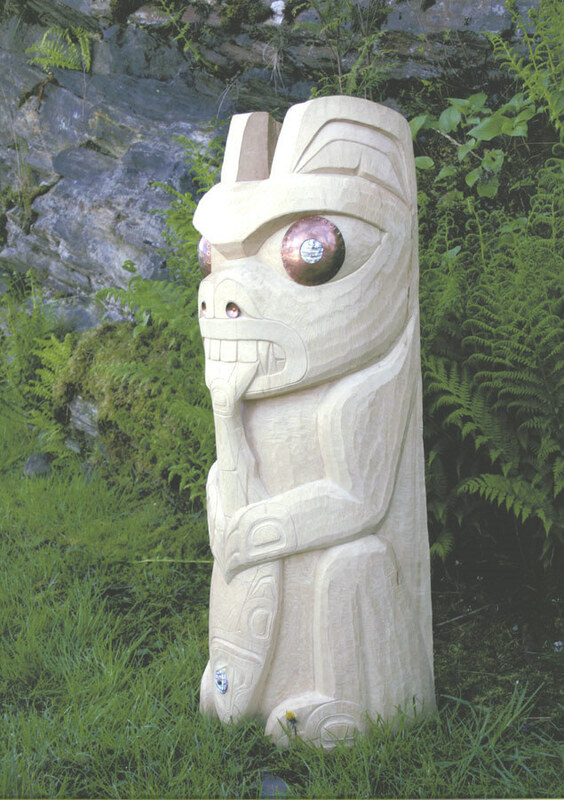 This totem pole stands four feet tall and is carved out of yellow cedar and finished with copper and abalone eyes. The Spirit Bear is holding a Spring Salmon.